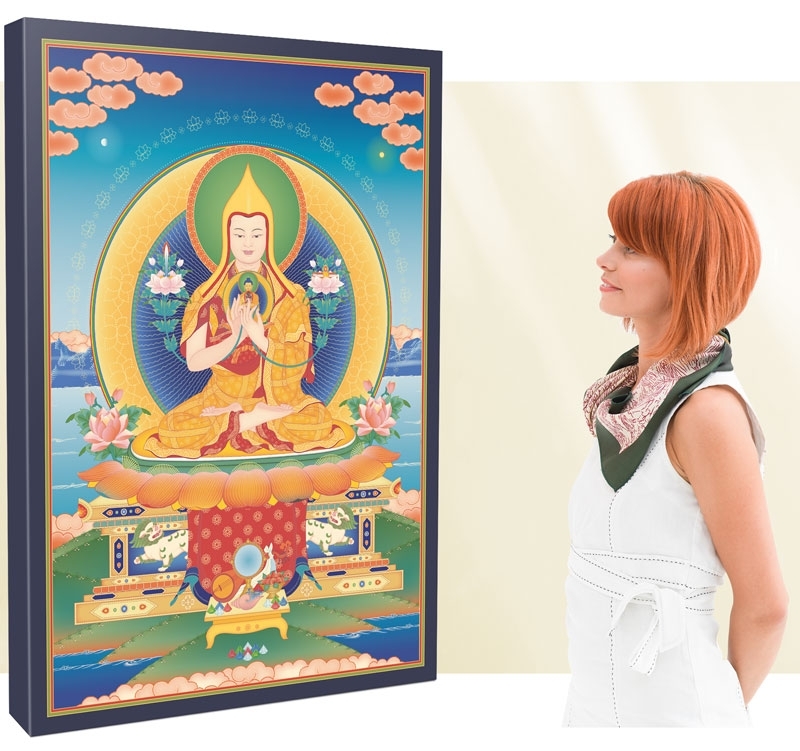 Tharpa offers a range of exceptional canvas prints, depicting inspiring visualizations of many different Buddhas. Printed on artist quality cotton canvas, these high quality prints make captivating centrepieces for any place of contemplation or meditation. Suitable for personal shrines or larger public spaces. Each order is custom printed on 400gsm artist quality cotton canvas. Pre-stretched over a wooden frame and delivered ready to hang. Rolled canvas prints – ideal for overseas orders. Whatever size or format you order, we'll deliver it for free, anywhere in the UK. For UK delivery in time for Christmas, please place your order by Sunday 2 December at the latest! International delivery also available. Delivery cost is calculated at checkout. The Tharpa images below are currently available to order as canvas prints. Each page also includes smaller postcards and art prints of the same image.